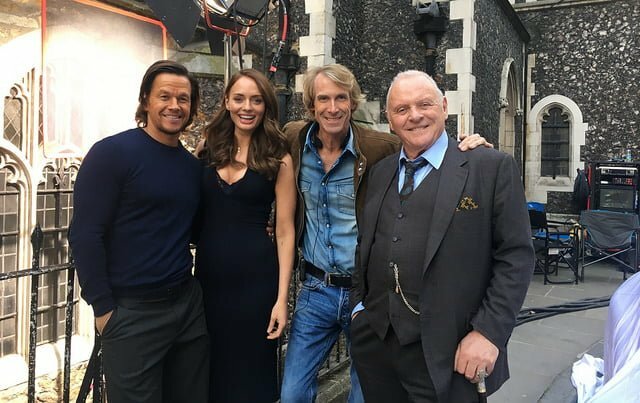 The new Transformers film opens tomorrow on general release, having crashed and sped its way around London in the making. This fifth outing for the film franchise is called The Last Knight, take a look at the trailer here. But it is not all stunts, CGI and scrap metal, London has lent some of its rarified charm, particularly in the form of Sir John Soane’s museum in Lincoln’s Inn Fields. It plays the family home of Vivian Wembley (Laura Haddock). In real life, the home is run by a charity, preserving an Act of Parliament to turn it into a free museum, unchanged since Soane died almost 180 years ago. Karen Everett continues, “The museum has the perfect intellectual and aesthetic air about it for the part of Vivan Wembley’s home. She’s an Oxford academic. “This incredible space includes rare collections and exquisite period features, all of which have to be protected during filming, but which also look incredible on screen. For a better idea of how Sir John Soane’s house is laid out and designed, take a look here. About 150 cast and crew filmed in and around the museum in September last year, including the arrival at one point, of M15 agents. Along Camden High Street, it took just 15 cast and crew to film two scenes featuring Transformer hero Bumblebee being chased by the police. Real police outriders escorted the action, making the rolling road shoot possible. In Lambeth, Westminster Bridge Road hosted 100 cast and crew filming action stunt scenes, with the Transformers Autobot and Deceptacon weaving around traffic, shunting and colliding. The thrilling scenes were filmed in just two hours, early one weekend morning in September last year. In Southwark, 150 cast and crew used 7 More London on Tooley Street in October last year. The interiors overlook The Thames and the City. Outside the building, M15 agents hurry out the front toward their sedans. In September, 250 cast and crew filmed interiors at City Hall on Queen’s Walk in Southwark. FilmFixer manages the film office service for Southwark and Lambeth as well as Camden Council.